We live in the south, where people love, love their porches, and we can’t blame them – we love them too! They’re an extension of the home’s living space. Rocking chair front porches…screened porches…even covered decks…They’re all great for meeting with friends, drinking sweet tea, and watching the neighborhood critters (2 legged or 4…ha-ha!). 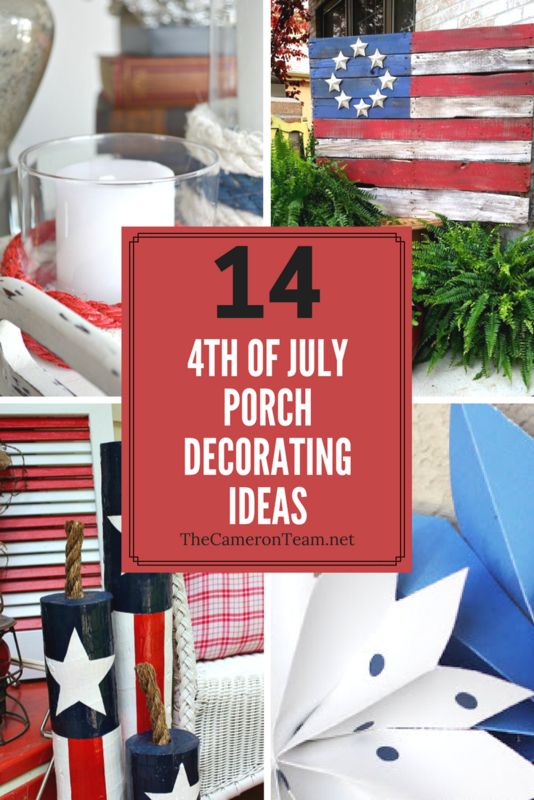 We also love a nicely decorated porch, which is why we occasionally share porch decorating ideas, including this list for sprucing up your porch for the 4th of July. Read through and let us know your favorites in the comments. 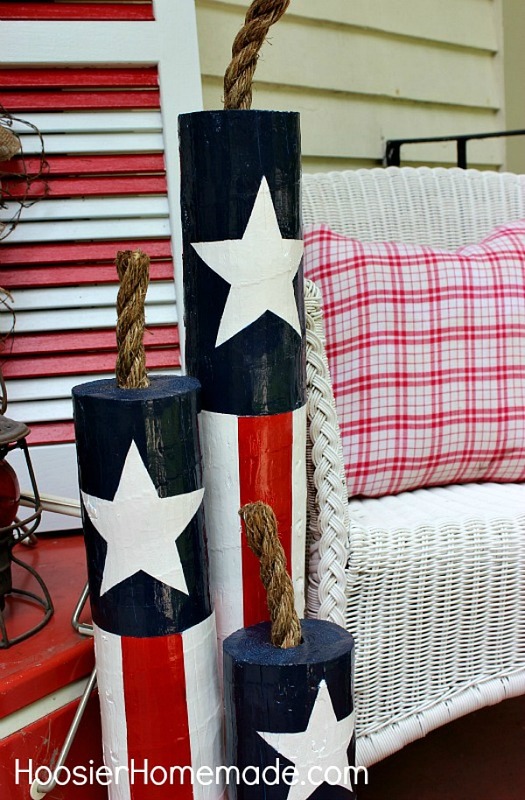 Add a touch of classic playfulness to your porch with a set of wooden firecrackers. Liz at Hoosier Homemade shares her tutorial on how to make them on her blog. She uses round wooden fence posts, but we’ve also seen them made with square posts. If you aren’t handy with tools, you can find precut blocks ready for your creativity here. If you have rocking chairs, wicker, or a swing on your porch, burlap is a great outdoor fabric for decorating. 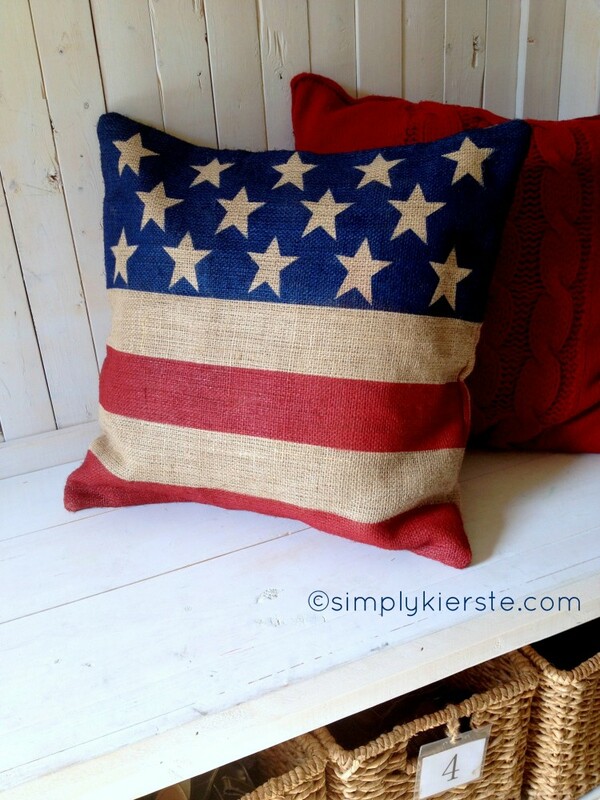 Kierste from Simply Kierste shares her tutorial for making a burlap flag pillow that’s the perfect accent for seating. 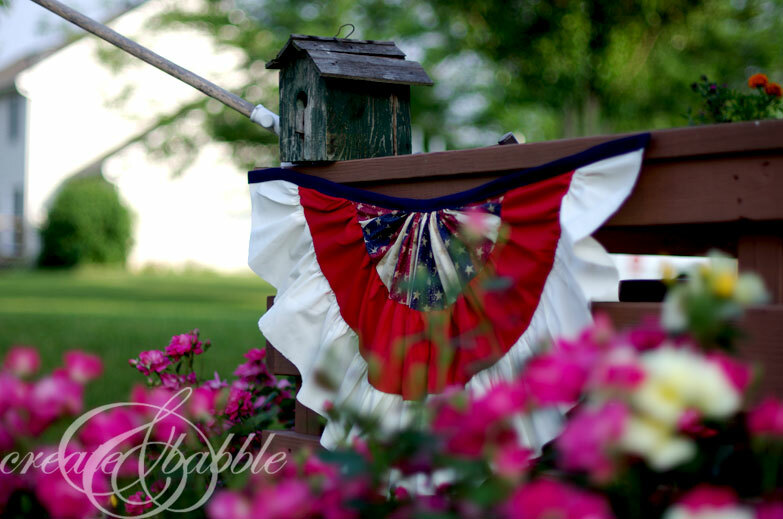 It’s easy to make and very cute, and adds a rustic touch to your exterior decor. Have extra glassware collecting in your home? 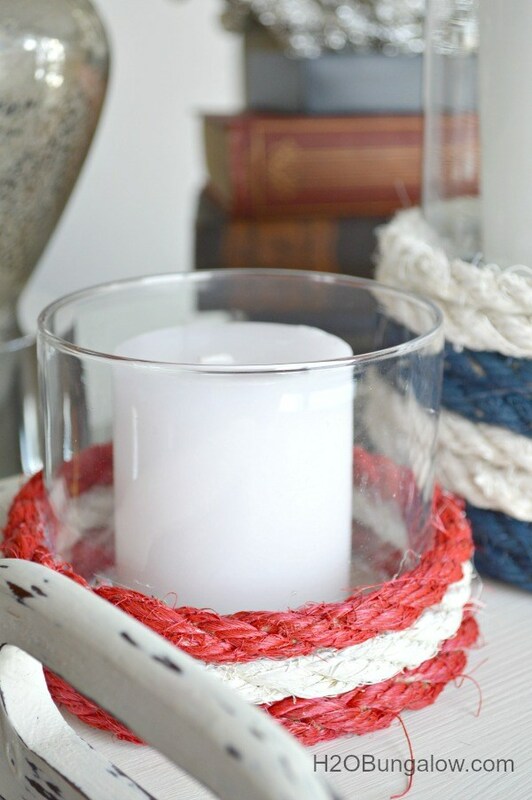 Convert some of them into these Nautical Rope Candle Holders, just like Wendi at H20 Bungalow did. Not only is the nautical theme great for summer, but the red, white, and blue also fits our 4th of July theme. Wendi shows you everything you need for creating your own. 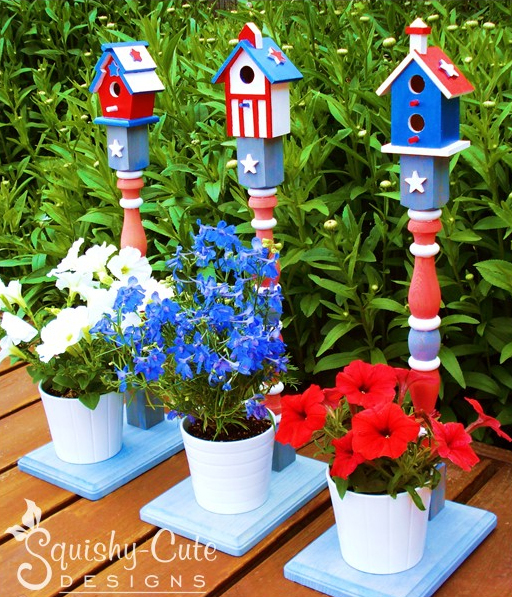 These patriotic birdhousesare almost too cute to put up for only a few weeks. Kelli at Squishy Cute Designs shares on her blog a tutorial for how to make them, and you can get all the supplies at your regular craft and home improvement stores. Make one…or three. 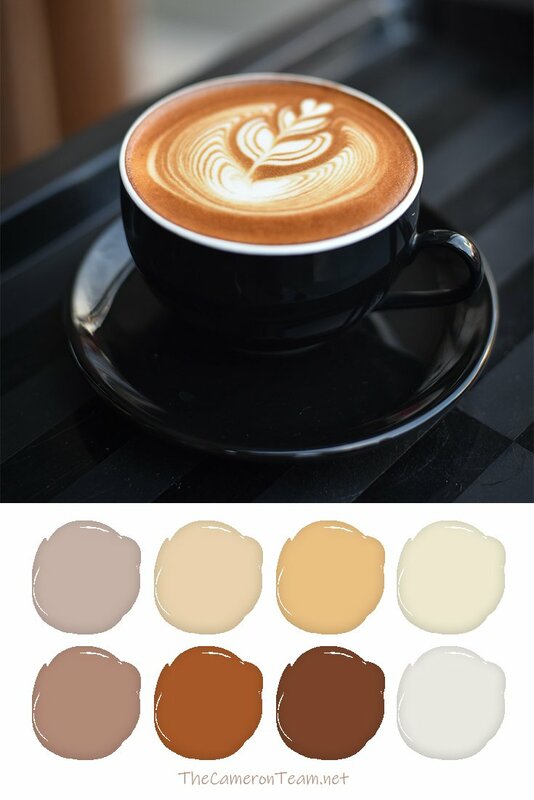 Then pair them with a few pots of red, white, and blue flowers, and you have a darling porch all summer. Have you ever heard of cork art? When we saw this project, we immediately fell in love with it. 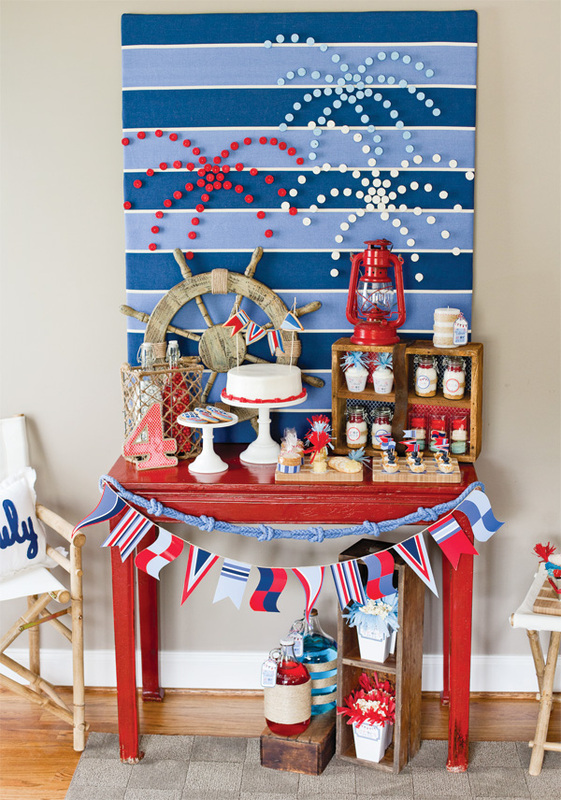 Maureen Anders at Anders Ruff created this adorable fireworks backdrop with cork, paint, and fabric. 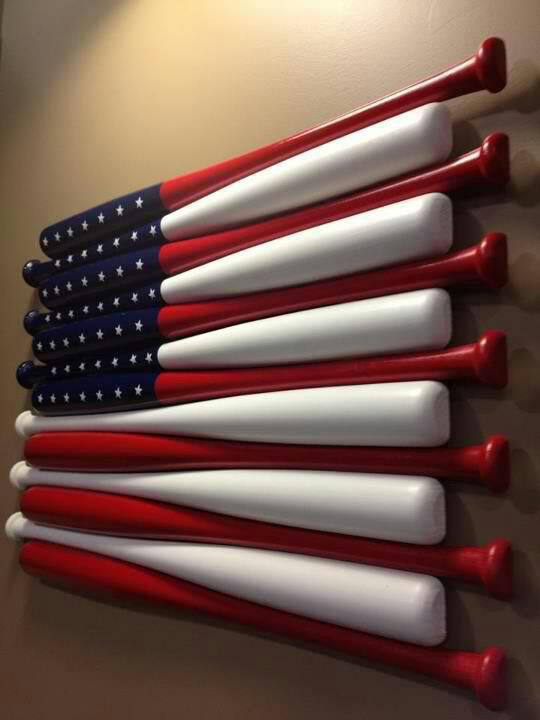 She uses it for a 4th of July party, but wouldn’t this look cute as the backdrop to a porch display? See close-ups on her blog. Yes, we know – you can make everything out of pallets. 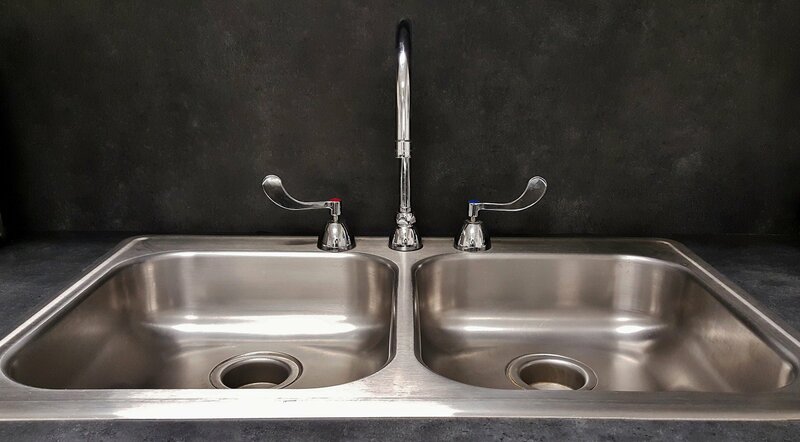 You’ve probably even seen a similar project as this one done. However, Jennifer Allwood over at The Magic Brush shares – not one, not two – but three examples of how you can create a pallet flag and they’re all really well made. 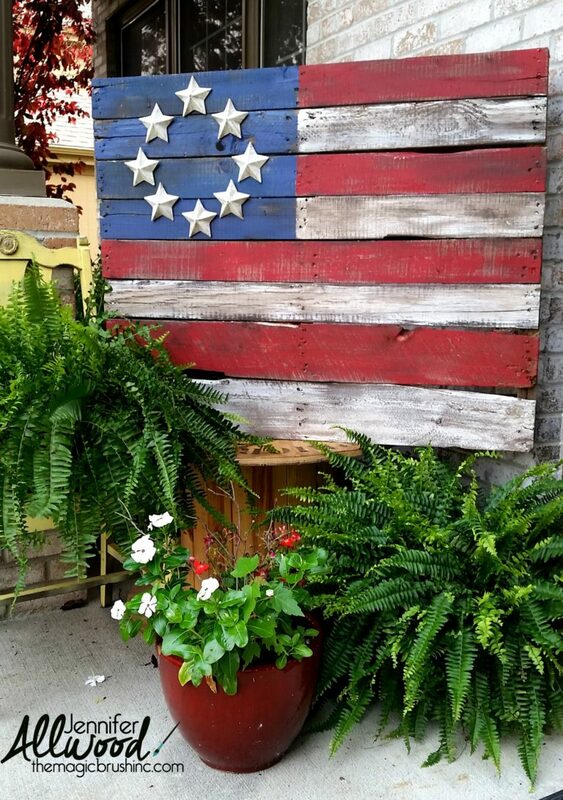 So, if you want a rustic flag for your front porch, this is the way to do it. Hanging a wreath is an easy way to decorate your porch. Did you know there is a whole site that teaches you How to Create a Burlap Wreath for every occasion? Yep! 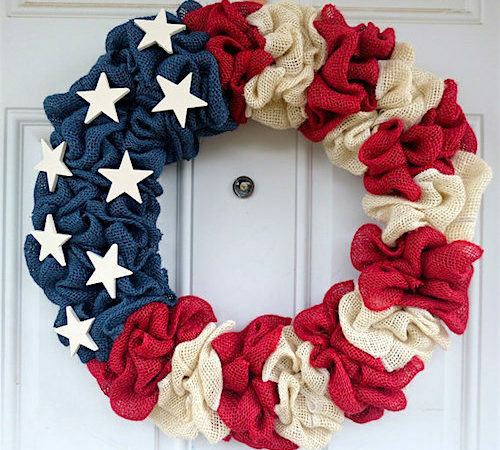 They even have this patriotic wreath for the 4th of July. They also have instructions for other types of wreaths, but we think this one is pretty neat. Wreaths not your thing or looking for additional hanging décor? 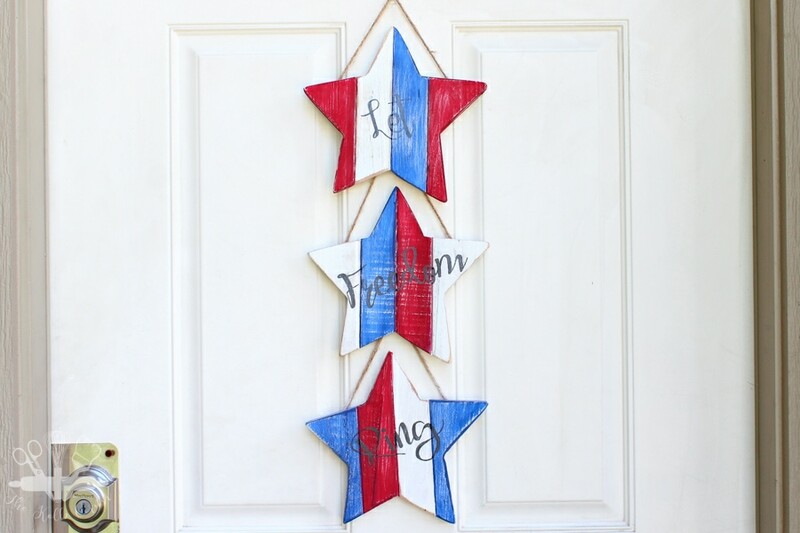 Amanda at The Kolb Corner did a fabulous job creating this stars and stripes door hanger from some pre-cut stars. Reading her tutorial, you can easily see how the project can be adapted to fit whatever door or wall space you need to fill. 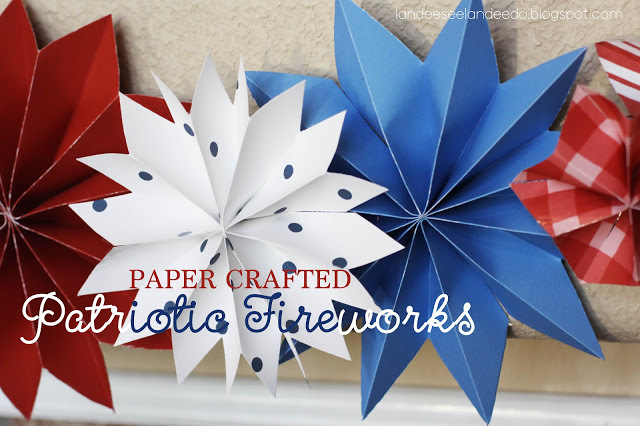 Add some texture to your front porch with these fun paperwork fireworks. Landee from Landee See, Landee Do shares how to make them on I Heart Naptime. Best of all, you can use scrap paper you already have lying around the house. 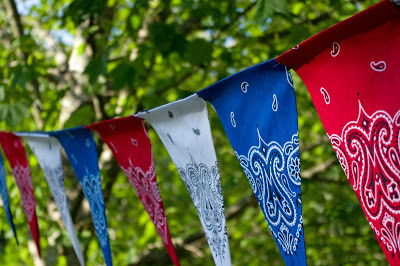 Red, white, and blue bunting is a classic 4th of July decoration for any porch. 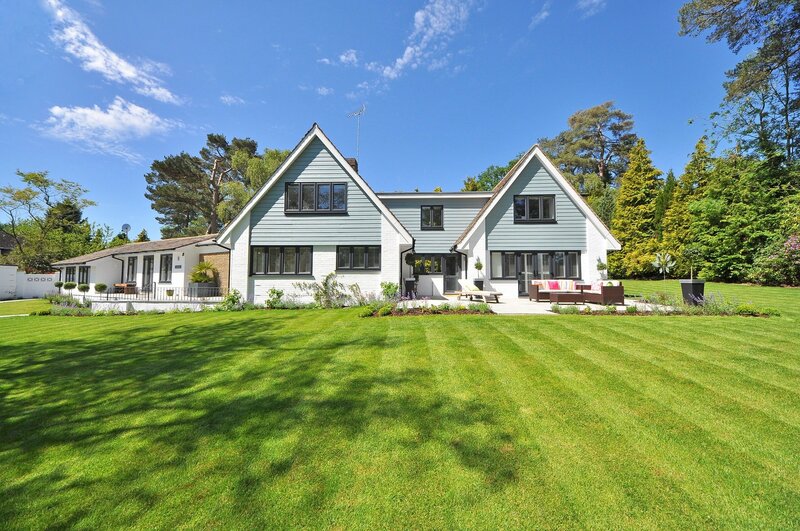 It always looks beautiful on the Queen Annes and Colonial style homes in our neck of the woods. They’re easy to pick up at your local party supply store or you can make your own custom bunting, just like Jeannie at Create and Babble. Hers are so great because she mixed up the normal red, white, and blue stripes, and chose a fabric with a vintage star print. 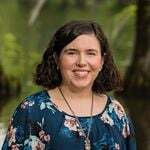 She shares how she did it on her blog. 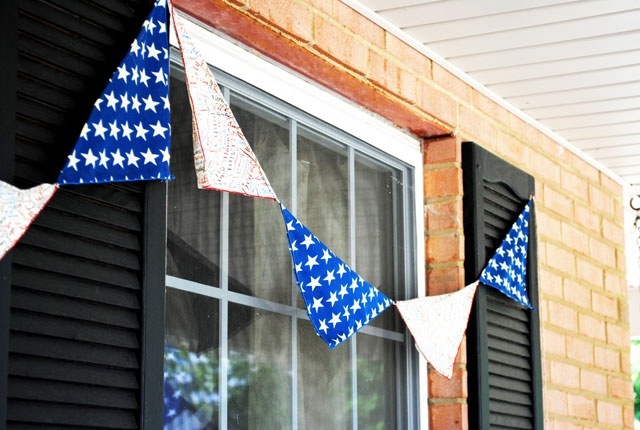 Pennant banners are another simple way to decorate your porch for Independence Day. They’re easy to make and give you the fun opportunity to choose your own fabric. Heather from At the Picket Fence created this no-sew pennant banner with some festive patriotic themed fabric. We also love the way bandana prints look. They’re very Americana. Kendra at Hatter and Hare Events created this pennant banner by simply cutting bandanas in quarters and attaching them to a ribbon. 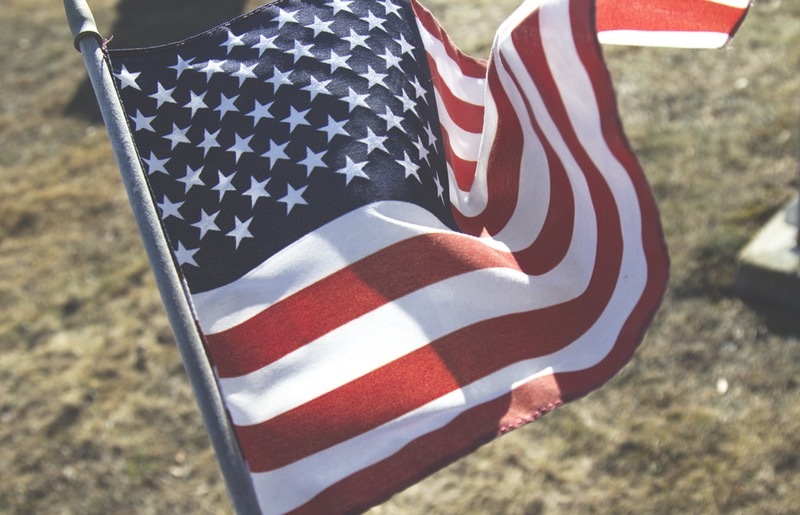 Upholding this code shows respect to our country and all who sacrificed their lives for our freedom. 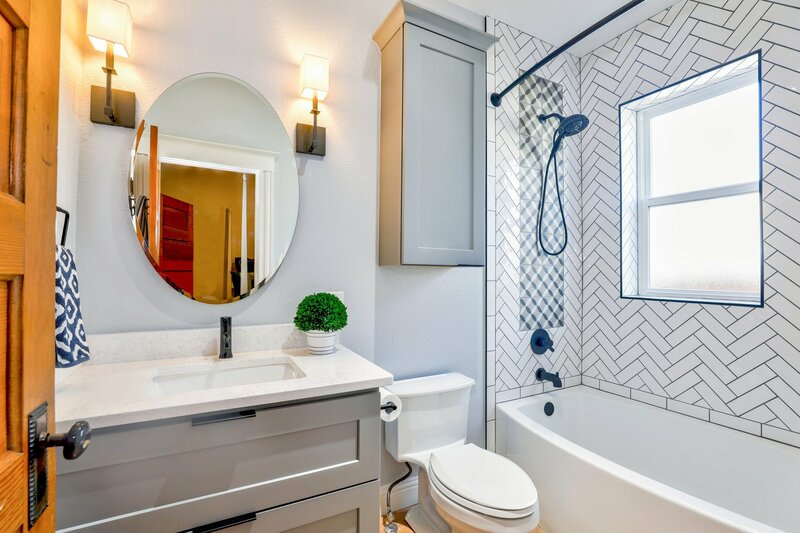 Don’t forget to let us know in the comments which decorating idea is your favorite. 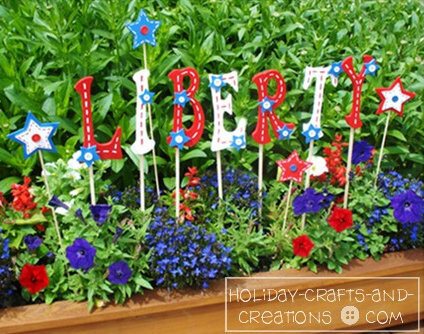 Also, if you know of another great tutorial or 4th of July decorating idea, please feel free to share it in the comments.